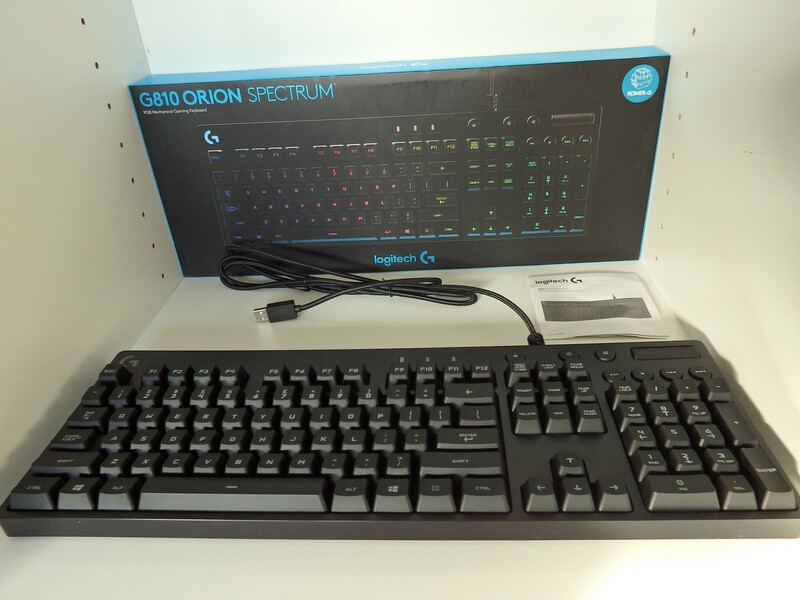 Previously we reviewed the G910 Orion Spark and awarded it an Editor’s Choice award because it was, and still is, in our mind the perfect gaming keyboard. 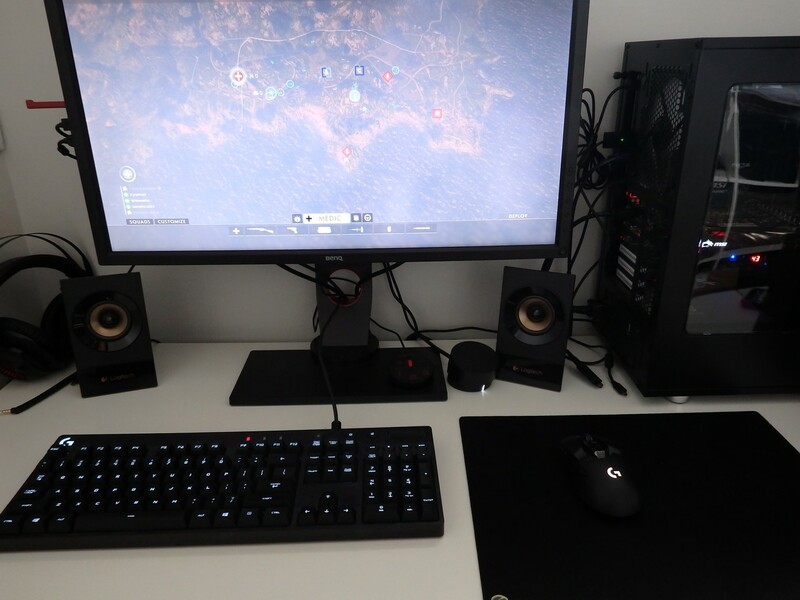 For many gamers we spoke to at LANs and around the traps, the G910 was awesome and something that they’d like to have but it was perhaps a little too big, too expensive and had things they didn’t need like the macro keys and the ARX Dock. 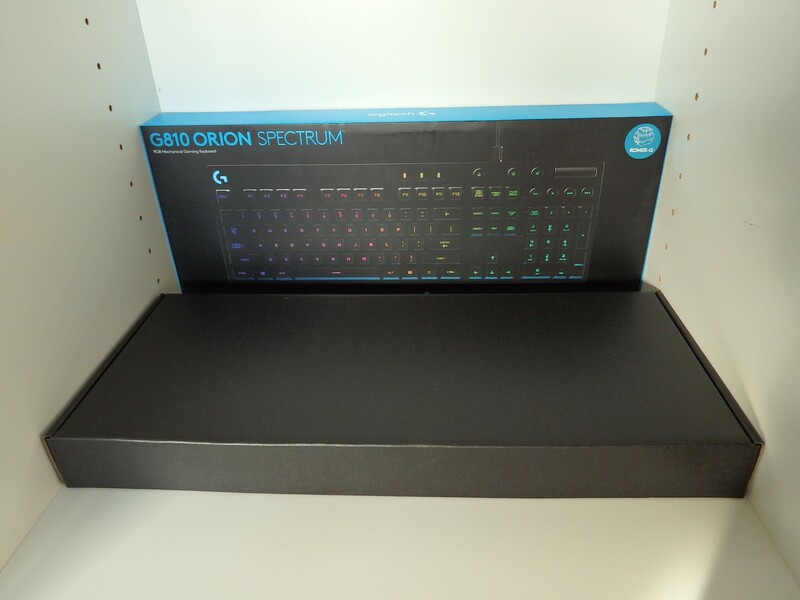 This is where the slightly smaller G810 Orion Spectrum hits the mark. 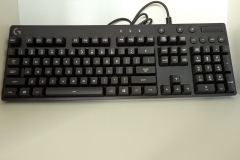 When I first saw this keyboard, I had my reservations – after all, it didn’t have a palm rest. 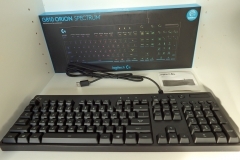 The G910 Orion Spark was, until this review, my keyboard of preference for writing reviews and gaming. 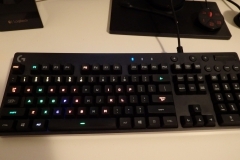 Keyboards are a very personal choice which is why buyers should read lots of reviews and then try and find a store or expo (like PAX) where they can try a peripheral before they buy it. 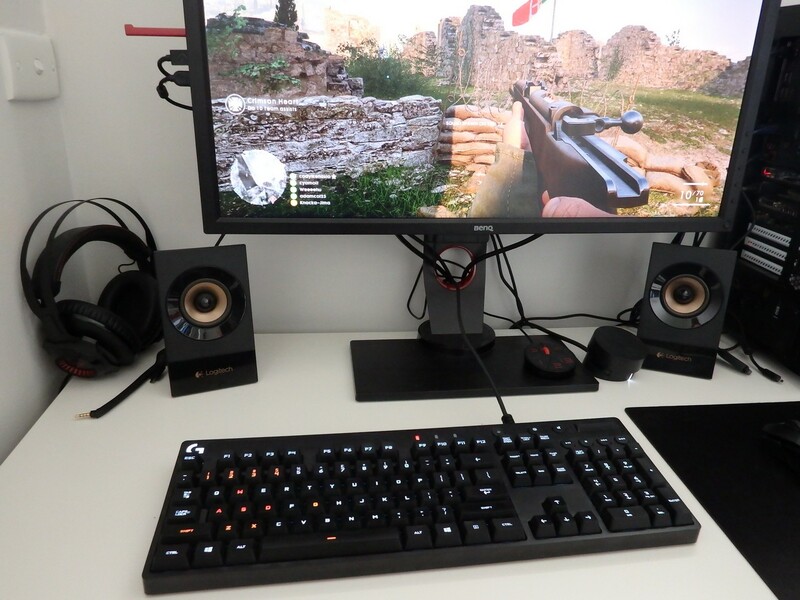 My ‘thing’ with keyboards is that I prefer a good “all-rounder” – a keyboard that I can use for typing up reviews, for gaming and I don’t want it to dominate the desktop by taking up too much space. 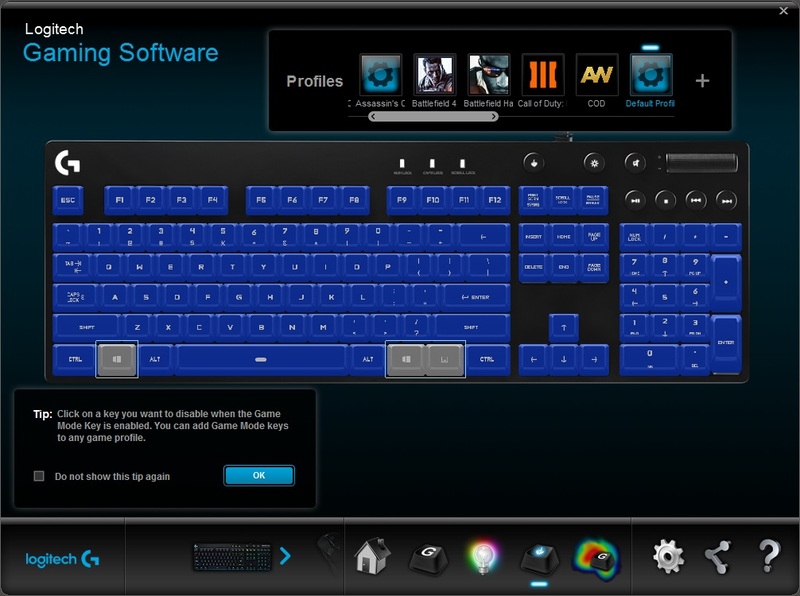 I also like to game in a dimly lit room so backlit keys are essential. 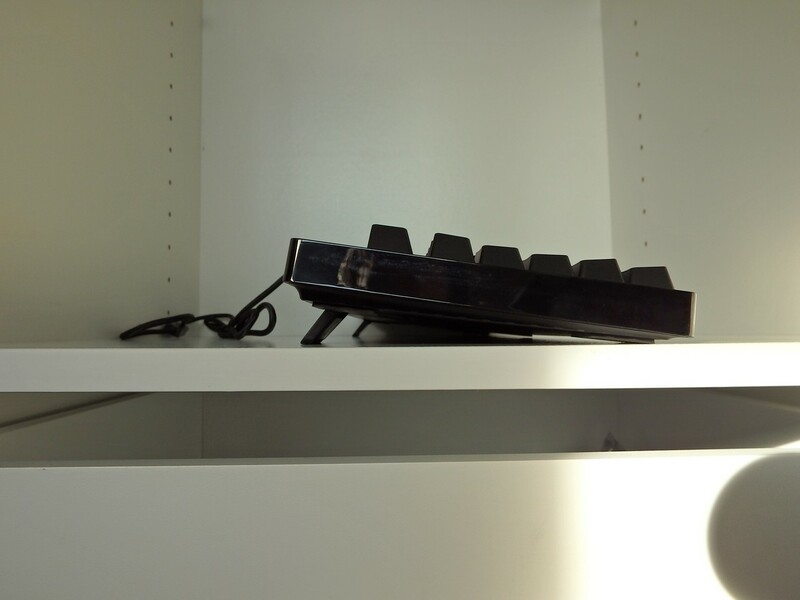 A palm rest is something that I’d previously considered a ‘must-have’ but after using the G810 for 4 months, I don’t actually miss it. 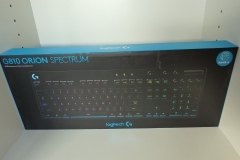 As with all of the premium Logitech Gaming Series keyboards, the build quality is excellent. 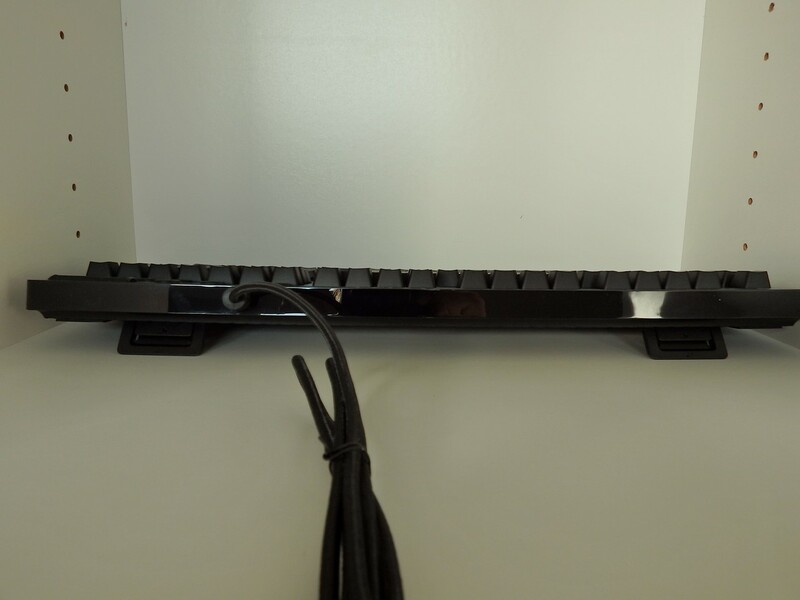 The unit comes well protected in the box, has a nice braided cable and feels like it will outlast your PC and other peripherals. 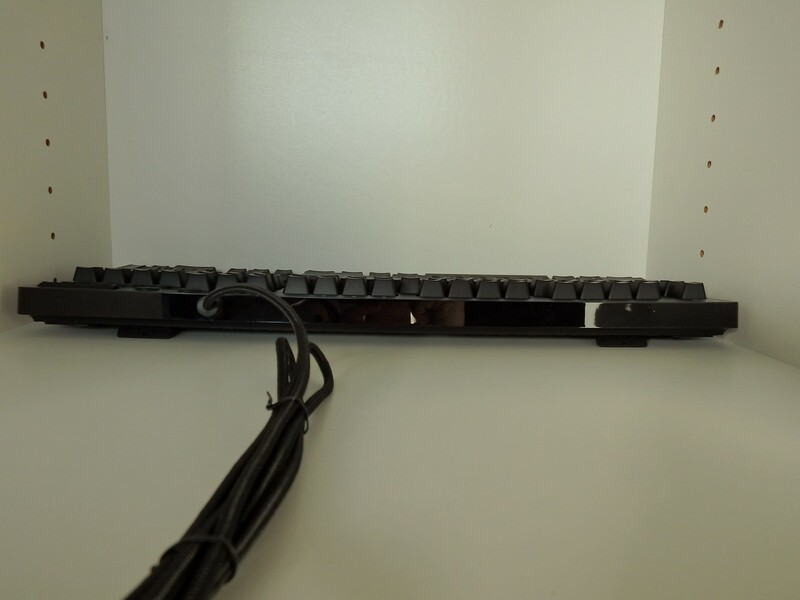 I found that the fingerprint resistant matte black plastic frame was actually pretty fingerprint resistant – so much so that after 3 months of use, this keyboard still looks much the same as the day we pulled it out of the box. 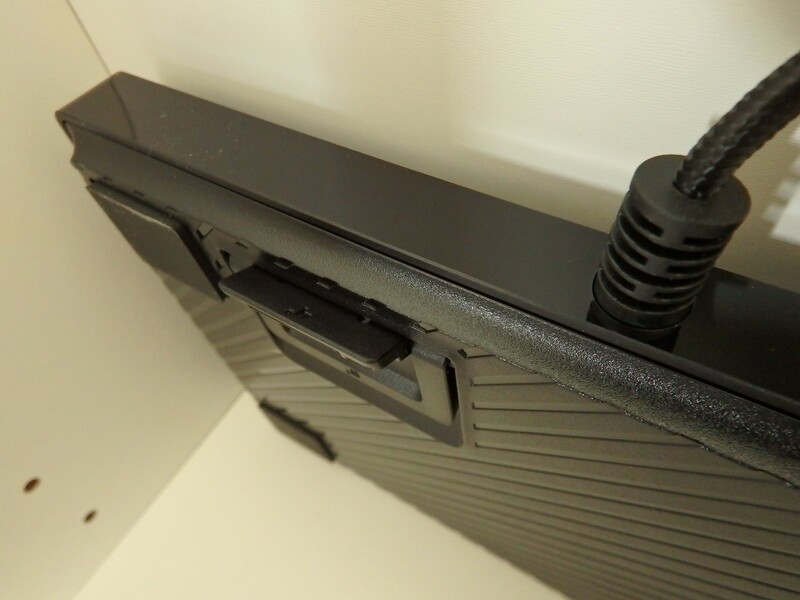 If you do happen to get a smudge of something on it, a slightly damp microfiber cloth is your best friend. On one occasion, I found a sticky fingerprint left by someone on the top of the frame near the num lock light and it wiped off without a trace. 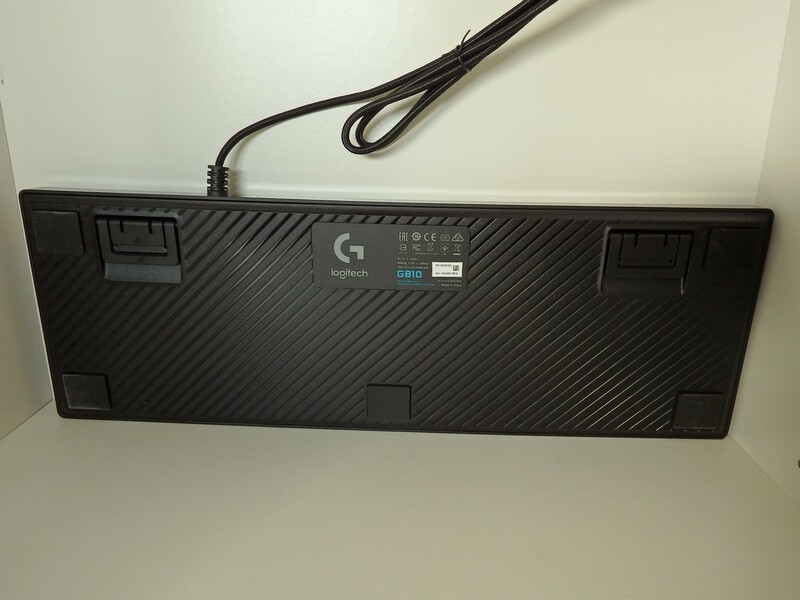 The G810 uses the durable and fast actuating Romer-G switches. 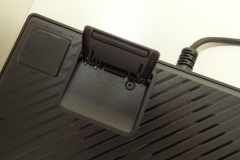 These switches developed by Logitech are rated at 70 million keystrokes and have an actuation point that is at 1.5mm instead of the 1.9 or 2mm that we usually see as a standard. Half a millimetre doesn’t seem like much but the actuation requires less travel, time and pressure. 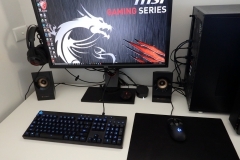 Can the average gamer notice it in a comparison? 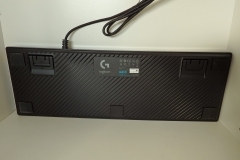 Probably not but does the G810 feel responsive? Absolutely. Used this for 3 months – with no signs of wear or issues. 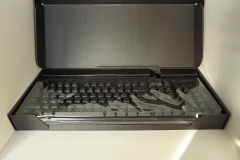 In the fourth month, I went to an older gaming-grade membrane-style keyboard and it was one of the worst transitions I’ve ever had. 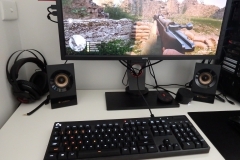 My typing accuracy went down noticeably, miss hits when gaming frustrated me and my general PC Gaming experience suffered. 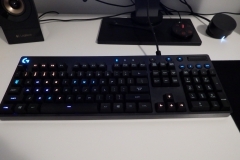 After 3 weeks of membrane torture, I returned to the G810 and instantly appreciated the Romer-G switches, increased accuracy and the angle of the keyboard with the feet in the ‘middle’ position. 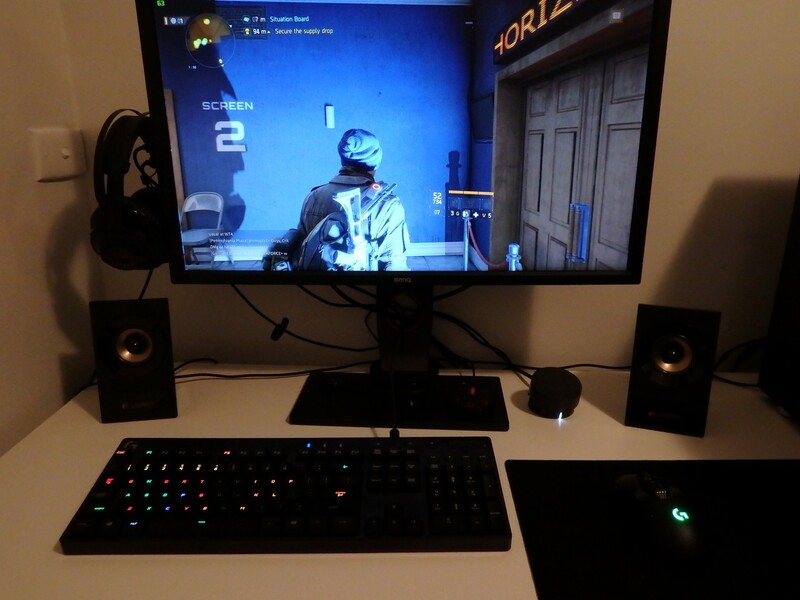 As it happens, my average KDR in first person shooters like COD and Battlefield did actually improve when I was back on the G810. 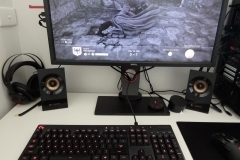 I’m not sure if my gaming performance was due to the key actuation, the ergonomics, backlight or perhaps placebo but the improvement was there and the game stats told the story. 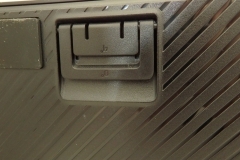 The media keys are sensibly located on the top right with a barrel style volume wheel. 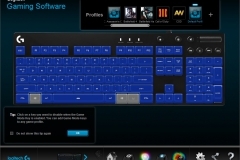 Logitech has also continued the use of the ‘Game Mode’ button that disables the windows keys. 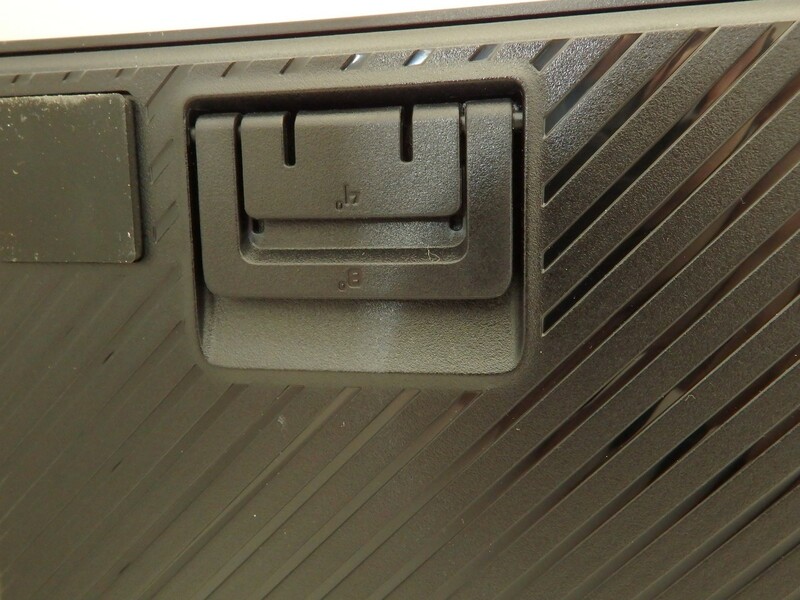 I can’t stress how much I like this button – it has saved me many moments of despair. 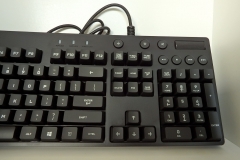 I was interested to see 26 key rollover instead of the typical ‘n-key rollover’ – it is 26 keys plus any modifier keys like Ctrl, Shift, Caps, Alt or the Windows keys. 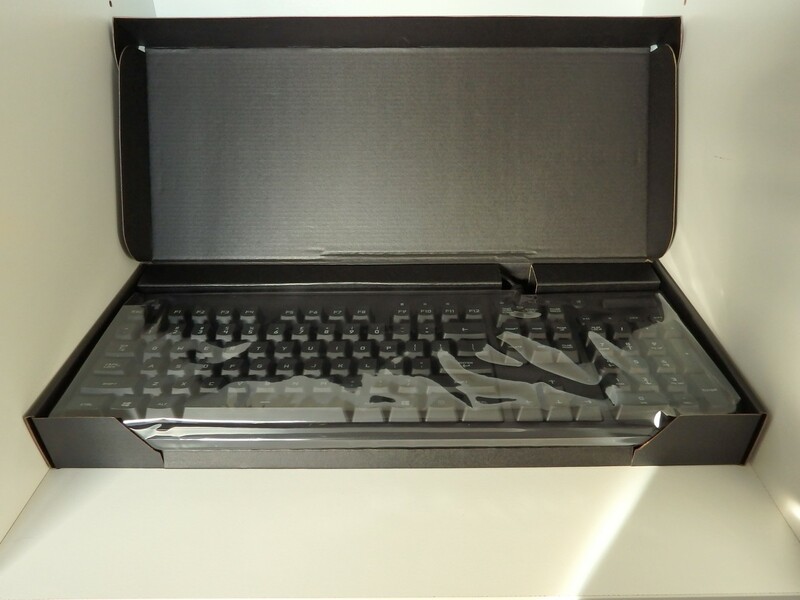 We tested this with the AquaTestKey utility but in general gaming, I can’t see why a gamer (or anyone) would need to use anywhere near that many keys at once. 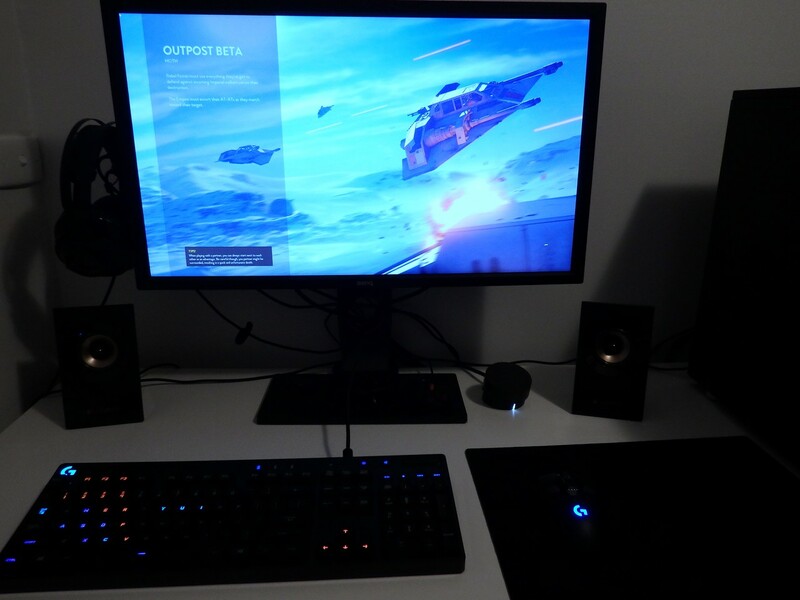 Customisable RGB lighting is something that impressed us on the G910 Orion Spark. 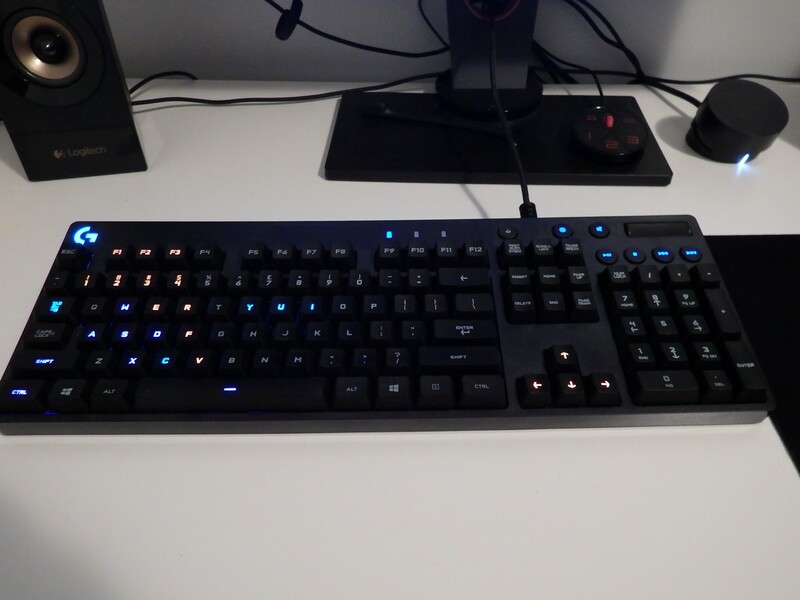 The G810 is a little better as all of the lights are RGB – every light on the keyboard can have its colour individually controlled/adjusted. 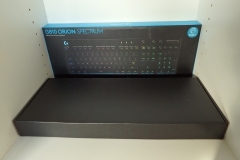 The G910 Orion Spark didn’t have customisable RGB Media or Caps/Num lock keys but the new G810 Orion Spectrum does and it’s a nice improvement. 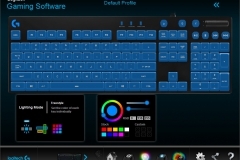 Essentially, you can customise the Logitech Gaming Software profiles for any application or game to use one of 16.8 million colours (or no backlight) at an individual key level. 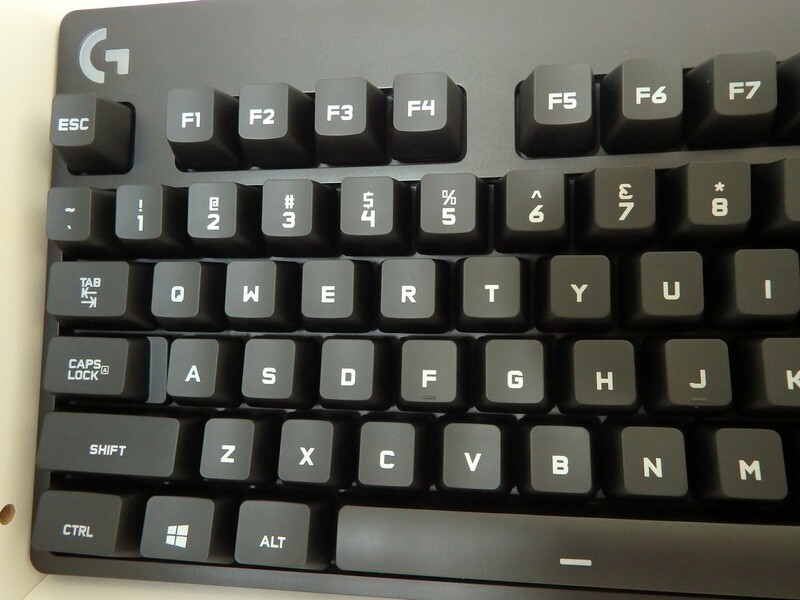 The LEDs appear to be right under the etching in the centre of the key so the lighting is clear with minimal bleed under the keys. There are a bunch of ready-made profiles for most popular (and unpopular) games so the chances are that your favourite titles will be catered for. 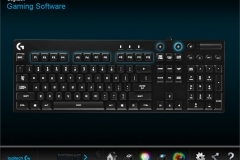 Some games already take advantage of the Logitech RGB capabilities natively. 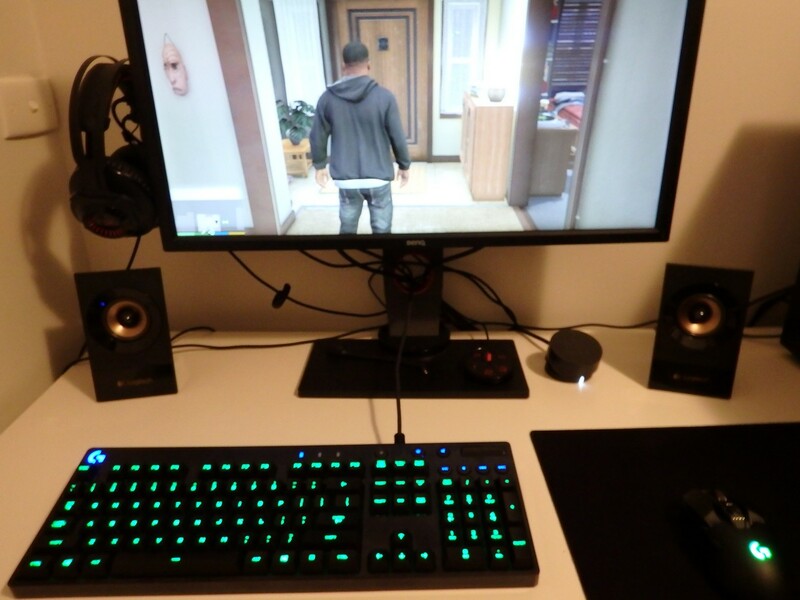 I’ve included some shots of the keyboard when playing Star Wars Battlefront, The Division and GTA V below. 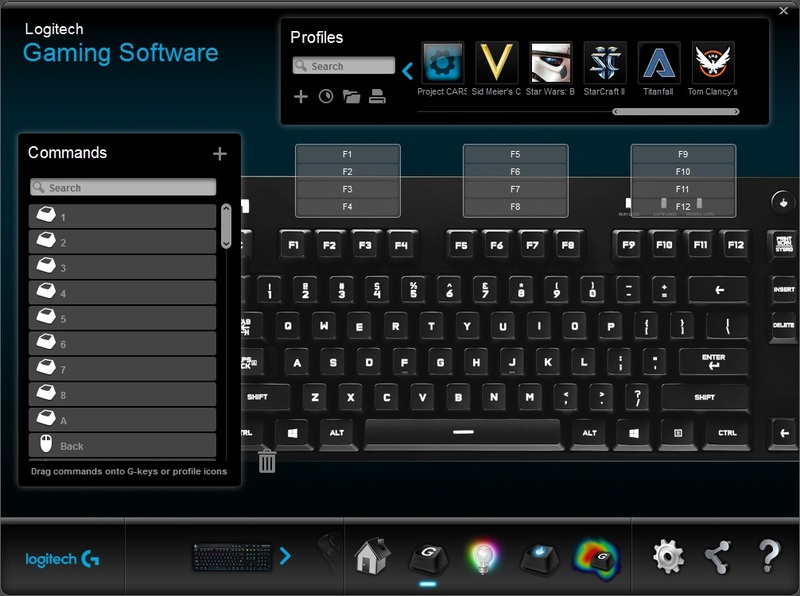 These profiles make finding the right keys dead simple and just add to the experience of using a high end peripheral. 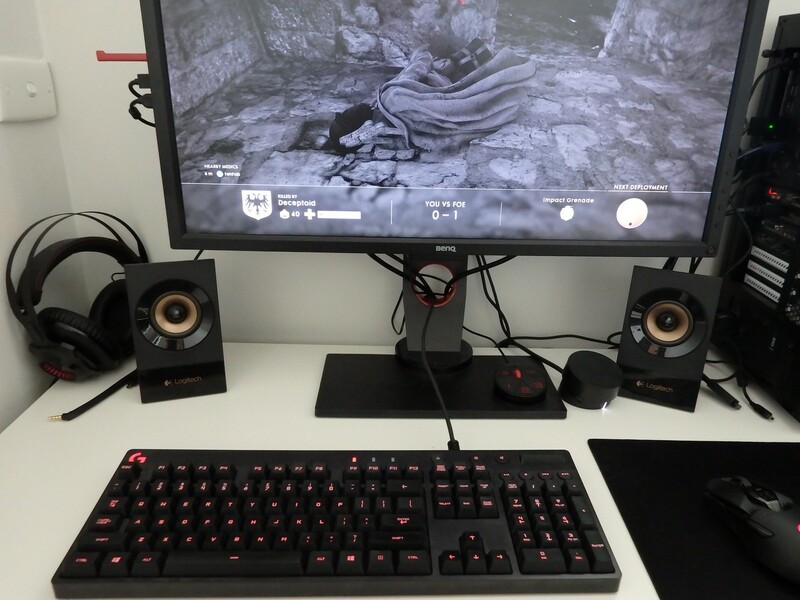 Battlefield 1 takes this even further. 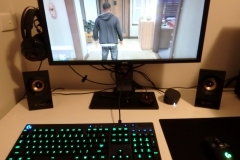 When you load the game, the keys are all white, then once you start playing, the keys that you need change from white to another colour but the context linking is really good here as well. 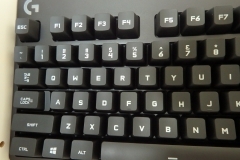 As an example, I walked up to a door and the screen prompt was telling me to press [F] to open the door when I looked at the keyboard, the [F] key was blinking blue and white, similarly when I was running low on rounds in my weapon, the [R] key was flashing to prompt me to reload. 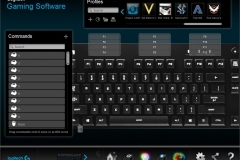 It’s features like this that make both a game and a keyboard feel ‘premium’. 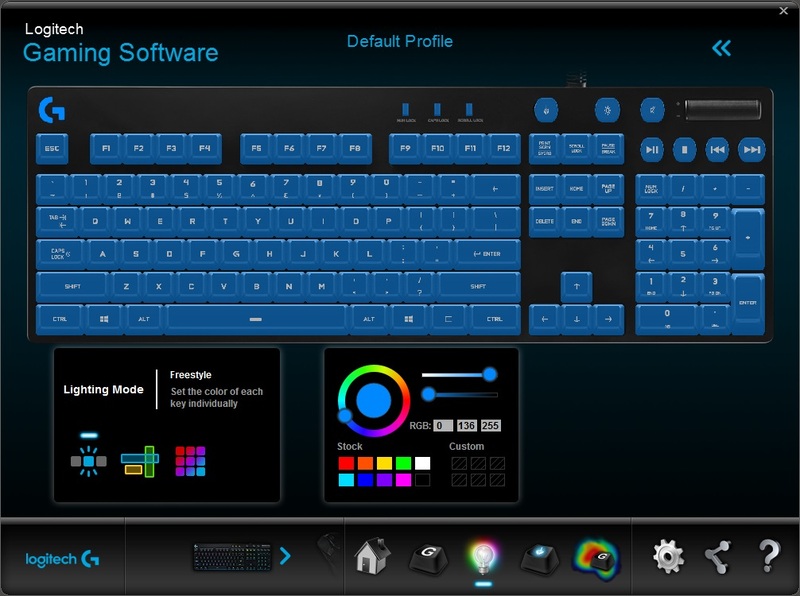 You can also use the Logitech Gaming Software to link the LED colours with your Logitech mouse if it has an RGB LED as well. 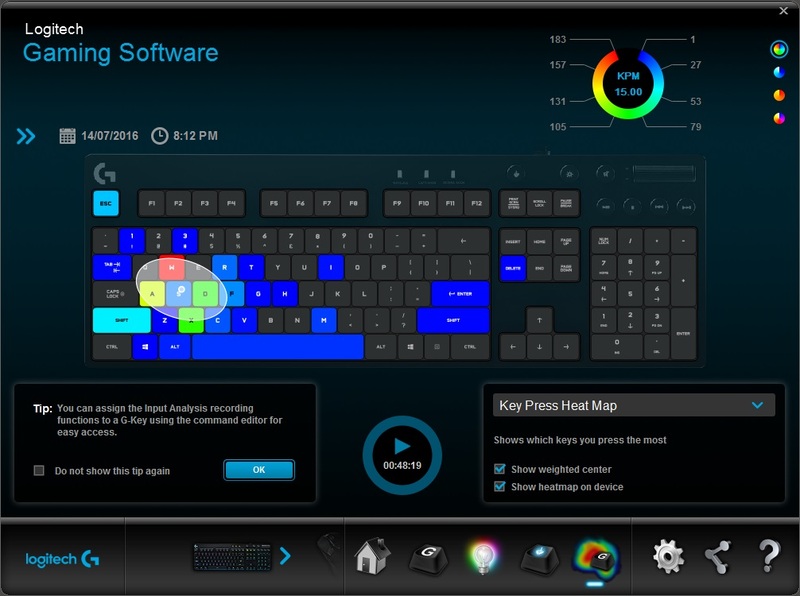 The software was rock solid throughout our testing. 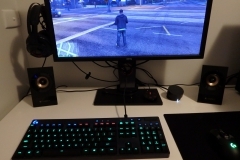 The game detection worked reliably and we didn’t experience any memory leaks or conflicts with other drivers, programs or games. 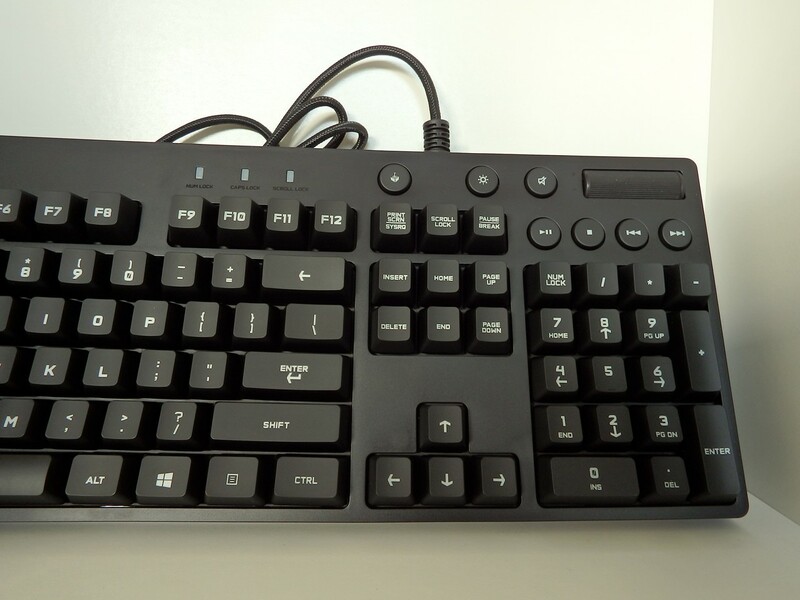 Would love to see this in a 10 keyless version like the G310 Atlas Dawn with the smaller frame and RGB backlight – much like the G410 Atlas Spectrum but closer to the G810 in terms of the minimalist frame and key caps. 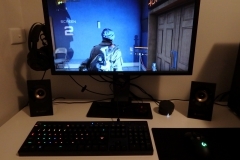 The G810 is my favourite keyboard going around at the moment. Smaller than the G910 Orion Spark due to the absence of macro keys and palm rests, the G810 doesn’t take up too much desk space but still has everything the average gamer needs. I rarely use macros and didn’t miss them at all. 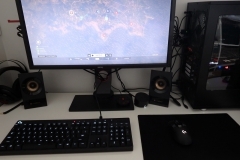 The additional desk space was worth much more to me in the end. 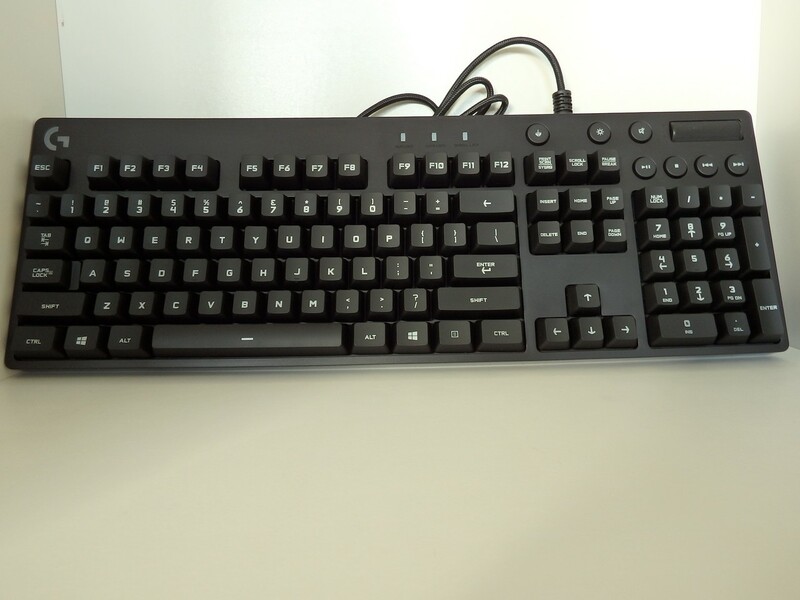 Whilst I did have reservations about the lack of a palm rest, the 3 levels of tilt adjustment on the G810 had my ergonomic concerns covered. 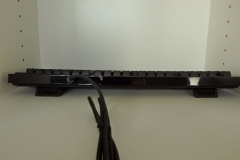 You can lay the keyboard perfectly flat (0 degrees), use the low set of feet (4 degrees) or switch to the higher feet for the most tilt at 8 degrees. My preference was the 4 degree middle ground. 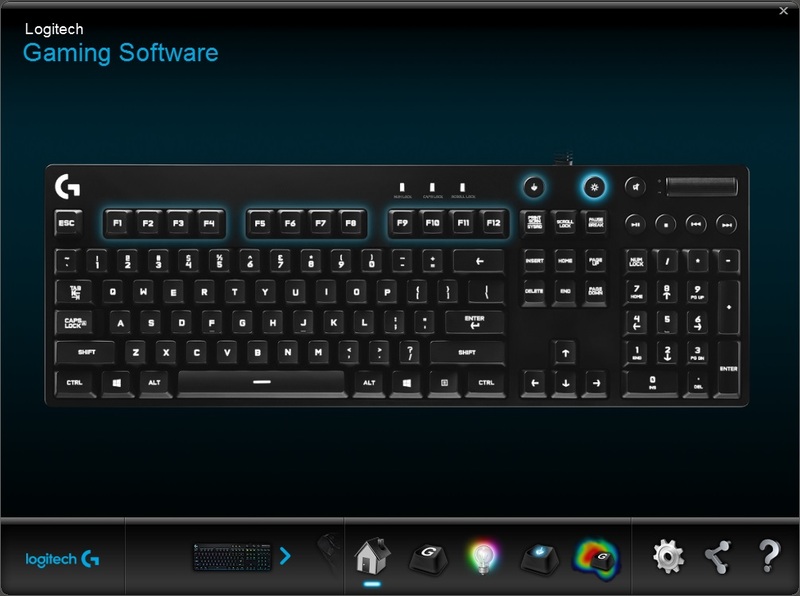 I managed to do a lot of typing and gaming on the G810 without any soreness, pins and needles or other discomfort. 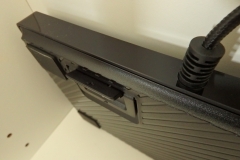 The ARX app works a treat with the G810 and although it doesn’t come with a device holder / ARX Dock like the G310 or G910, iPhone holders are not exactly expensive and you are best to get one that works with your specific device or device case. 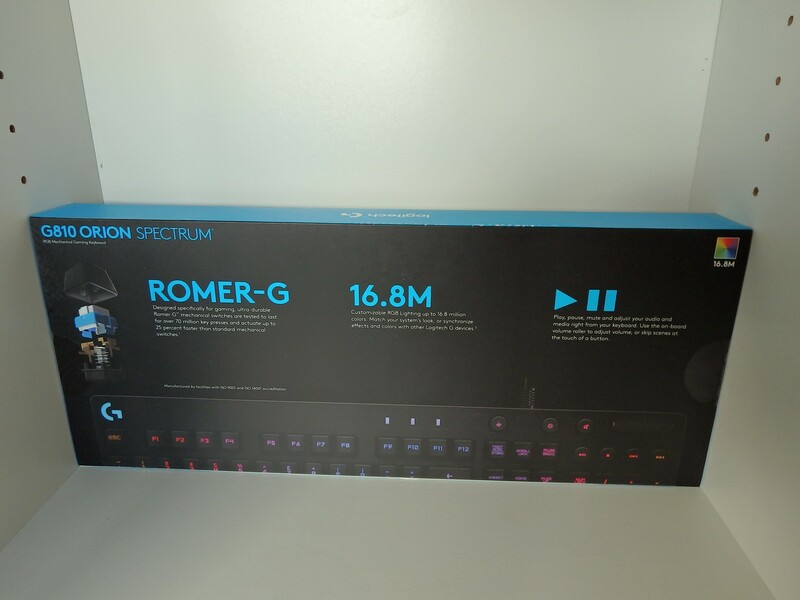 The Logitech G810 Orion Spectrum combines configurable individual key RGB LED backlighting with the awesome Romer-G switches on a sensibly sized desktop footprint. Whilst not in everyone’s budget, the street price is a justifiable $169. 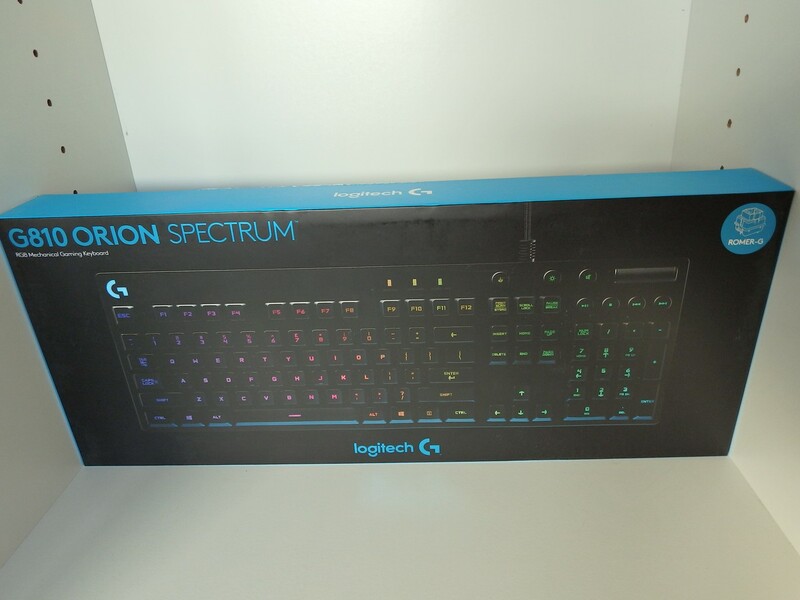 Keeping in mind that this keyboard is built to be durable with switches rated at 70 million keystrokes and can add to the immersion of gaming through the customisable RGB backlighting, the price starts to look a bit better. 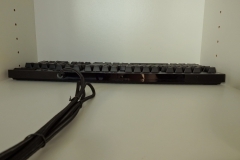 It’s also worth thinking about how much you value your keyboard, if you work and play on it like I do, a good one is essential and worth a higher investment. 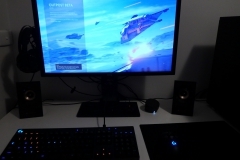 The RGB LEDs are no gimmick. 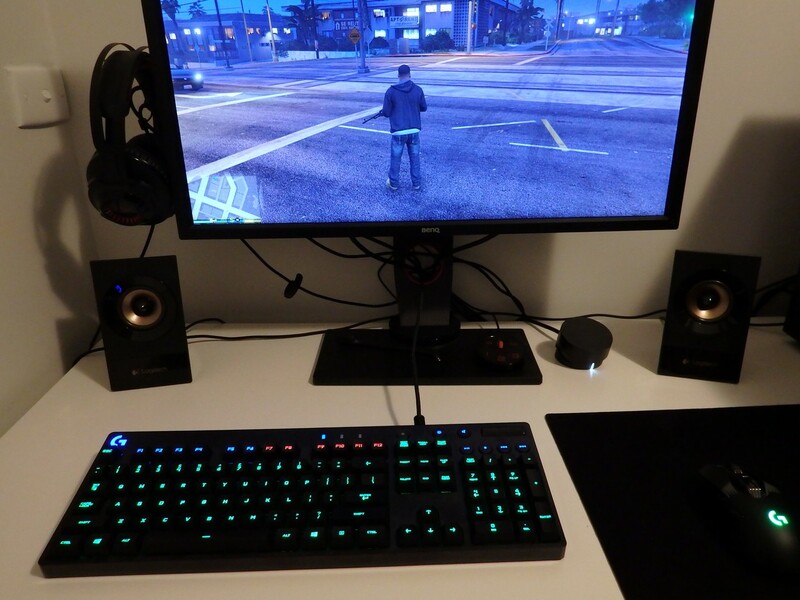 Whilst some games like the Division and GTAV have built in profiles, being able to customize other games makes it easier to switch between games if you use the same colour coding on your custom profiles. 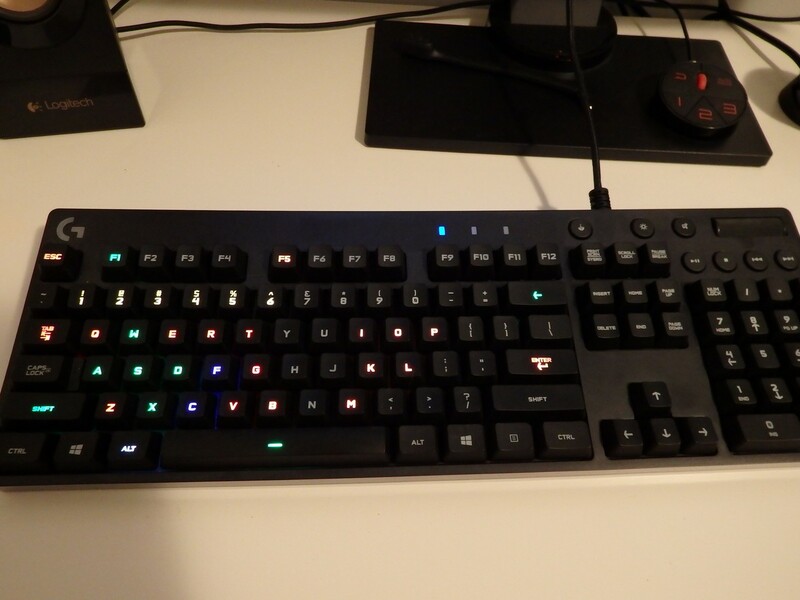 I like to set chat/comms keys to one colour, movement keys to another, inventory, weapon slots or infraction keys to another again. 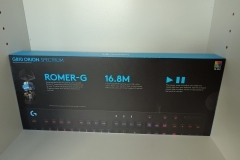 Romer-G switches are well balanced, responsive mechanical keys that don’t make a lot of noise relative to the other options available. 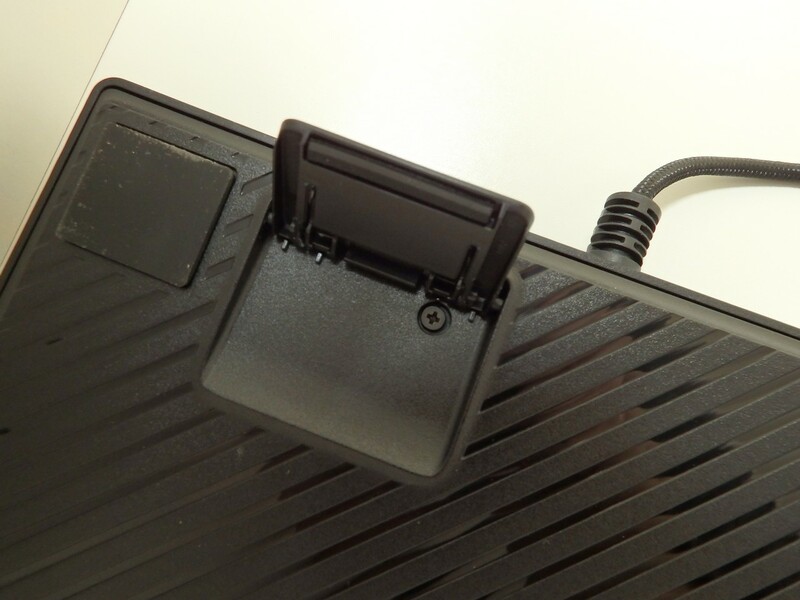 I can’t see the vast majority of gamers having an issue with the design or the feel of Logitech’s own mechanical switch here. 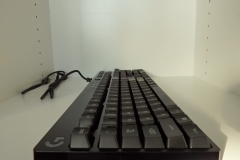 The G810 might not be cheap but you get what you pay for. 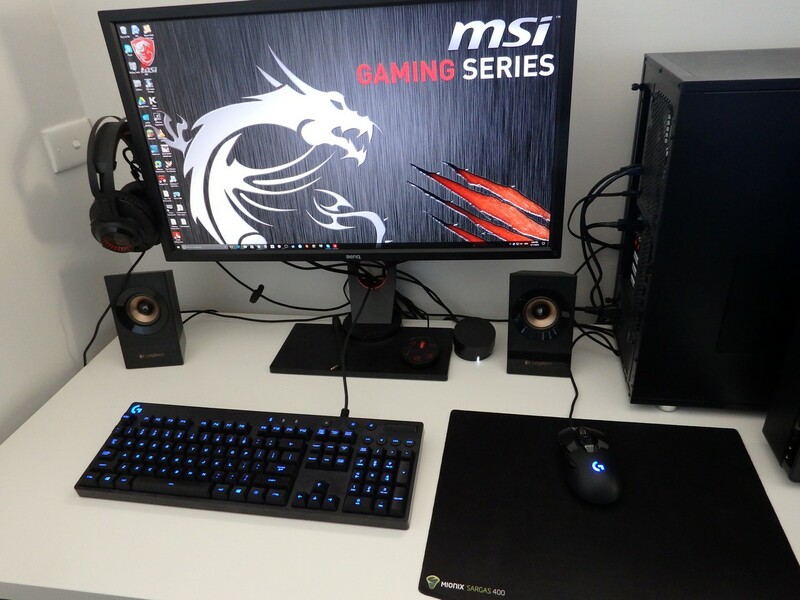 It’s a brilliant gaming peripheral that’s built to last.